Job cuts have raised fears about Ellesmere Port's future. LONDON -- The new boss of PSA Group's British Vauxhall brand said the future of the automaker's Ellesmere Port plant, where a third of the workforce is being cut, is closely linked to Opel/Vauxhall's sales, which have nose-dived in Britain. PSA acquired Vauxhall and Opel last year when it bought General Motors' loss-making European arm and has been pursuing a restructuring plan to return it to profitability. On Thursday, the French automaker tasked one of its top executives, Stephen Norman, with the task of turning around Vauxhall, just days after the PSA announced further job cuts in Britain. On Monday PSA said another 250 jobs would go at the Ellesmere Port plant in northwest England, on top of 400 cuts last year, reducing the workforce by a third to make it more efficient, but renewing workers' fears about the future. 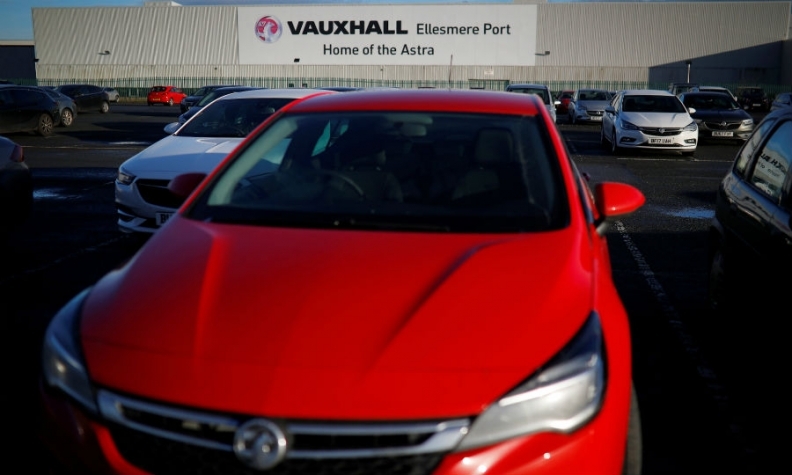 Norman, who takes over as Vauxhall managing director on Feb. 1, told reporters on Thursday the future of Ellesmere Port was connected to the firm's sales performance. "The two are inextricably linked," Norman said. "If we manage to make a radical improvement in Vauxhall's fortunes in the UK and my future colleagues in Opel across the continent do the same in their markets, particularly in Germany, then there will be a requirement not only for every possible unit of production that we've got but maybe even more besides." Norman will need to turn around sliding sales in what has traditionally been Opel-Vauxhall's biggest market and where demand fell 22 percent in 2017, compared with an overall market decline of 5.7 percent, according to industry data. He faces the challenge of defending Ellesmere Port with PSA due to decide as soon as this year whether to keep the plant open with new models, in the latest test of Britain's ability to attract investment as it leaves the European Union. Norman, who joined PSA Group in May 2014 as chief marketing officer, said Brexit made planning harder. "So long as there are two, three or possibly more sets of viable hypotheses (due to Brexit) with different forecasts and different financial parameters, it's very difficult to make a clear decision," he said.